I had heard about ‘Lush’ so many times so when I was in Ghent lately and accidentally passed a Lush shop, I couldn’t resist having a peak inside to see what the fuss is all about. I asked the shop assistant for some information about their body lotions. She told me about their body lotions, but also about these massage bars… I decided to buy a massage bar instead of an ordinary body lotion, just for the fun of it I must admit! The massage bar really looks like a large soap bar. You warm the bar in your hands and then it releases this lovely smelling oil with which you can massage your body. There are different kinds of smells. 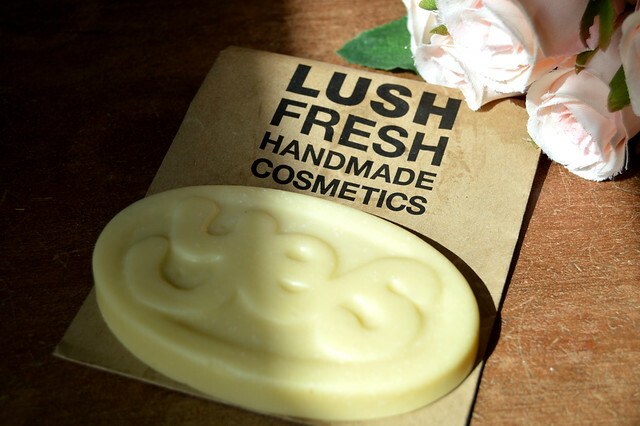 I bought the yes yes yes bar because I immediately loved the smell. 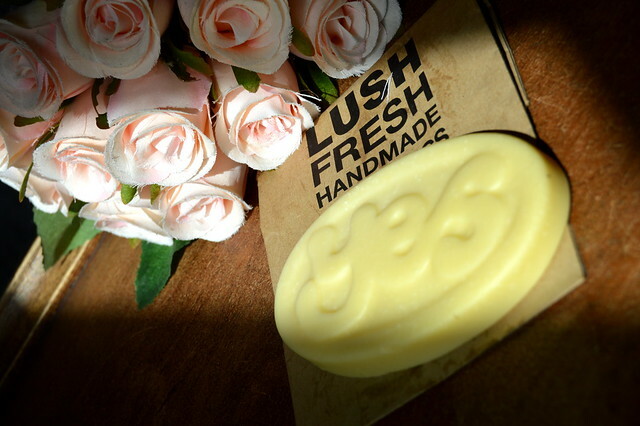 The bar is made mostly of natural ingredients like cocoa butter, shea butter, almond oil,… and has a lovely, delicate jasmine scent. difficult to store away… it came with a paper bag in which I store it, but apparently you can buy a tin which helps to preserve the bar. This massage bar is a fun beauty gadget which I will probably buy again when I come across a Lush store! Here’s a review of a lovely smelling Rituals body lotion! 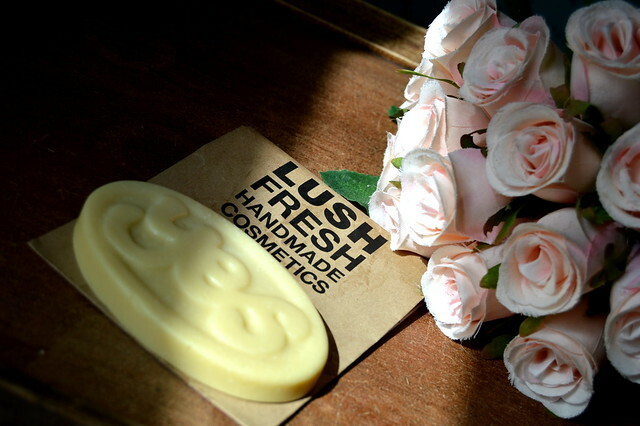 This entry was posted in Beauty, Body and tagged beauty, bodylotion, lush, massage bar.